Said to have been a part of Chinese culture for centuries, with increasing notoriety in the past few years, is the practice of lower class men and women being hired as body doubles to help the wealthy avoid paying for their crimes. Due to it now being so well recognised it is now known by official term, “ding zui” which translates to “substitute criminal”. One-tenth of one per cent of China’s population is overtly wealthy and controls nearly half of the country’s riches. Many of them have made their fortune from close ties to the Government which is why it is assumed that the practice of hiring a body double has never been investigated properly. A well-known case that was controversial both in China and worldwide involved 20-year old Hu Bin, who was drag-racing through one of the country’s most expensive cities, Hangzhou. His car was travelling so fast that he struck a pedestrian who was flung 20 yards on impact and died. Horrified eye-witnesses said Bin appeared nonchalant at the scene while waiting for police to arrive. After a weak investigation, in which authorities claimed Bin hadn’t even been speeding, he was sentenced to three years imprisonment. Many Chinese protested this as the death penalty is often sentenced for less serious crimes. However, public debate heated up as claims arose that the man who stood trial was not Hu Bin, but someone paid to take his place in court and in prison. Observers believed the man on the stand did not bear much resemblance to the photos of Hu Bin taken at the crime scene. The authorities refuted the claims. 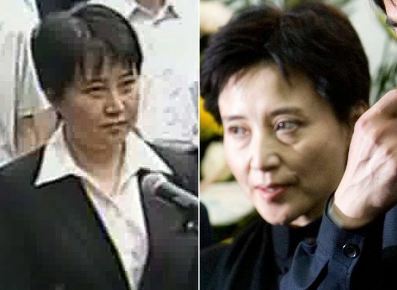 Successful businesswoman Gu Kailai, who was sentenced to a suspended death sentence in 2012, is also considered to have used a body double in her infamous trial for the murder of British businessman, Neil Heywood. Again, Chinese authorities censored these rumours. As reported by the BBC at the time The London Financial Times used two security experts with experience in facial recognition software who determined that Gu Kailai was not the woman standing trial for the charges. It is believed that no real investigation into the practice has been executed because many officials believe it is justified. The real perpetrator suffers by paying vast sums of money to source a body double while the punishment is still being delivered and served, which stands to intimidate and prevent future criminals. Also, the body double receives financial security for their future or their families that could only be dreamt of.